At least 5,000 water bills may charge customers more than what they should owe, Mayor Sylvester Turner said. The problem hadn't yet been nailed down, but is likely related to meter issues at flooded homes, he said. He first saw complaints on social media about the issues. Some people were charged double what they normally have to pay, some more, Turner said. No one will be disconnected or penalized for the issues. If you have a problem with your bill, call the city. The city has 453 trucks and loaders in the field to assist with debris removal, Turner said. At last count, crews had collected 700,000 cubic yards of debris so far. There's an estimated 8 million cubic yards total. The council approved a $60 million contract with DRC Emergency Services that extends the current deal the city has in place. DRC manages contracted crews who pick up debris. Council member Greg Travis criticized the response from HISD during the storm before a vote on one item. HISD wasn't helpful in his district when the city was looking for places to house people during the storm, Travis said. "They weren't really willing to open their doors," Travis said. HISD is proud that we were strong partners with the City of Houston and Harris County in the response to Hurricane Harvey. As part of our Board-approved agreement with the city, we opened 10 of our schools as "shelters of last resort" during the storm. And we allowed evacuees into two additional buildings that were not part of that agreement because of need. At the request of the Mayor's Office, once the shelter opened at the George R. Brown Convention Center, we closed our buildings and helped transport evacuees there, as it was equipped with food, water, and sleeping accommodations. HISD put its people and property at risk. At the city's request, we ran more than 30 buses during the storm. While the storm pounded the city, those drivers made more than 100 trips through floodwaters to pick up stranded evacuees and get them to shelters. The district had more than 90 employees in place to supplement city resources at no cost to the city. We also opened nine feeding sites for breakfast, lunch, and dinner at no cost to the city. HISD stands by its response. Turner is looking for another $100 million in insurance-related costs for city properties, he said. The city's current policy protects the city up to $200 million each fiscal year. The city is expecting to pay upwards of $180 million in claims. That leaves the city with very little coverage through the end of the fiscal year, which is in July of 2018. Turner expects the insurance item to be on next week's agenda. 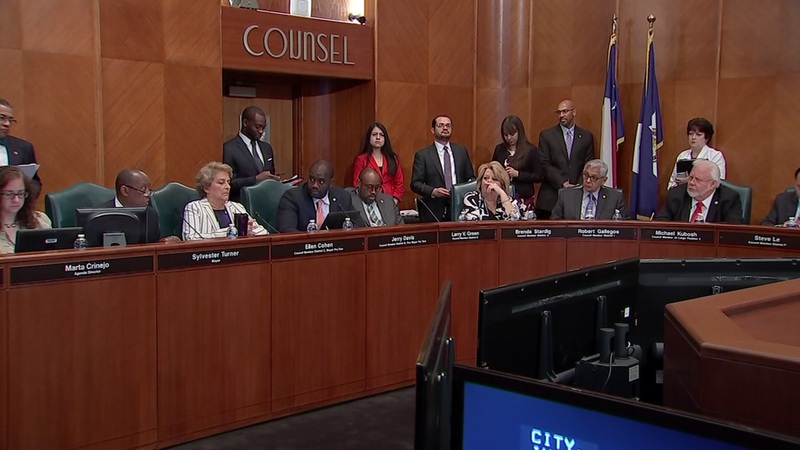 The mayor suggests the state's Rainy Day Fund be renamed if state leaders aren't willing to open the account and spend some money for Houston flood relief. "If 50 inches of water doesn't qualify [for the Rainy Day fund] I don't know what does," Turner said. "It should be renamed."